Abstract: In striving to reduce racial achievement gaps, schools and youth development programs are increasingly turning to youth mentoring programs. But how to ensure success? 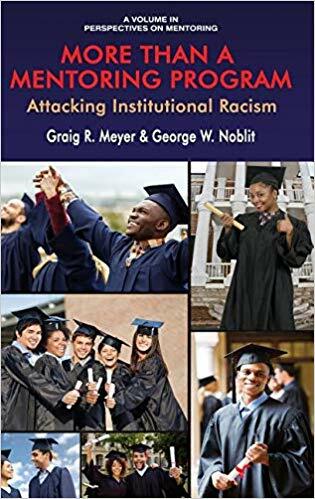 Here, accomplished educators Graig Meyer and George Noblit reveal how one such program challenged institutional racism and eliminated persistent achievement disparities in a local school system that boasts a national reputation for excellence. The authors share personal lessons, strategic guidance, and detailed practical advice for education and community leaders seeking to create successful youth mentoring programs. Their story, backed by research, offers real-world perspective on the important work of challenging systemic racism in schools. Meyer and Noblit demonstrate how mentoring and advocacy come together in a strengths-based program that boosts academic success and post-secondary enrollment for youth of color, while also creating change to benefit all students in a school system.